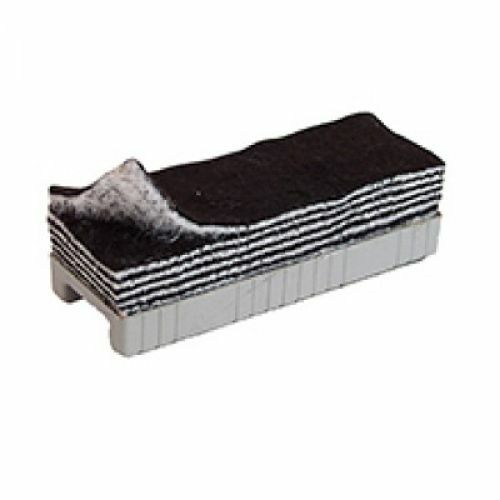 White board eraser with 12 separate felt erasing surfaces! When top surface is too soiled to erase simply peel off for fresh new felt surface. Sturdy plastic holder for easy grip.